The name ARSOA derives from the French words arbre de soie (meaning “silk tree”). To us, these words represent the philosophy behind our company…the idea that true beauty is rooted in the earth. We strive to widen our circle of joy, health and happiness to offer products and services that help people enjoy a natural state of wellbeing. By syncing with nature and utilizing its wonderful energy, we strengthen the body and the skin from the inside out. At ARSOA, we begin everything we do by contemplating how we can incorporate nature and follow its examples. ARSOA offers natural products boosted by science. We are always seeking out unique insights to fully utilize the wonderful energy we find in embodied in nature. Fully inspired by nature, we look for natural ways to utilize its strengths through our products. We continue these untiring efforts throughout our entire development process. We then strive to provide the best products we can in the best condition possible. This core value extends to, and is present in, every aspect of the manufacturing process for ARSOA, and we believe each of our products exemplifies it. We enhance true, natural beauty through our products, and we do so in a way that is simple and caring for both people and for nature. There’s a wish for genuine happiness that shines through in everything ARSOA does. As simple as this idea may sound, it was why we began developing ARSOA Queen Silver 45 years ago in Japan, where previously the fashion had been to use layer upon layer of cosmetics. For ARSOA, true beauty means manifesting the ability to realize and maintain each individual’s natural inner qualities. True beauty is born out of a healthy balance of the mind, body and skin. 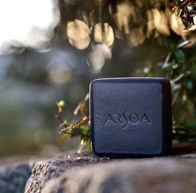 ARSOA can help maintain this essential beauty through products that have been developed based on the principles and essential workings of nature. This is why ARSOA uses only ingredients and natural materials that are truly needed by the skin. This is an expression of our corporate philosophy, and is the reason many people have experienced beautiful skin using ARSOA products. At the core of ARSOA’s product development lies water. Water makes up 65 percent of the human body, and the remaining 35 percent is comprised of proteins represented by amino acids and inorganic minerals. It goes without saying that human skin is no exception. Water and minerals can be readily supplemented externally and naturally aid the functioning of the skin without damaging it. It is precisely for this reason that ARSOA is specific about water above all else. Accordingly, our aim is to maintain the original beauty of the mind, body and skin with products that are full of natural energy. ARSOA does not use tap water, which is collected, processed and disinfected artificially. Instead, we focus on spring water, which promotes the skin’s strength. We create products whose basis is natural minerals, the most important ingredient for imparting vitality to the skin and filling it with sustaining energy. We want to provide everyone with products and know-how that not only supplement the needs of healthy skin, but also that help to revitalize the potential for the skin itself. This is ARSOA’s founding concept, as well as the ongoing philosophy that powers everything we do.